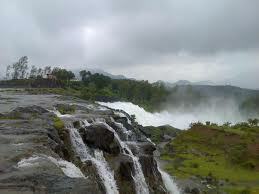 Malshej Ghat Waterfalls, Pimpalgaon Joga Dam. Malshej Ghat is a mountain pass in the Western Ghats range in pune district of Maharashtra, India. The site is nestled in the lofty rugged hills of the Western Ghats. The best time to visit is between August and September. At this time of the year, the hills are clothed in a soothing shade of mint green and the weather is cool due to the monsoons. Known for its misty tops and ice cold cascades at this time of the year, the site is a very popular weekend getaway for most of the city’s residents at that time of the year. 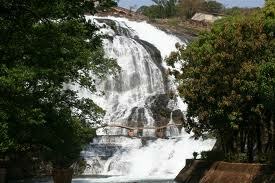 It has got number of waterfalls and the greenery is just awesome during the monsoons. A charming hill station, placed at an altitude of 700 mt above the sea level, Malshej Ghat is a fascinating tourist destination with a rejuvenating climate. Famous for its numerous lakes, cascading waterfalls, and charming mountains, this hill station is a favourite tourist destination of hikers, trekkers, adventurers and nature lovers. A typical woody countryside, Malshej Ghat is distinguished for its rich flora and fauna, historic forts on rocky mountains, enthralling rivers, meandering waterfalls, resorts and sanctuaries. A hilltop with countless cascading waterfalls, Malshej Ghat is adorned with natural beauty and splendor. This magnificent hill station is full of waterfalls during monsoon and some of them are too big that they even fall down to the road. 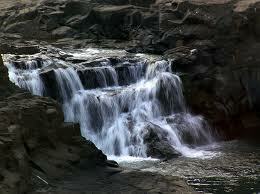 It is a sheer joy to walk through the gush of water, which makes waterfall canopies on the road. 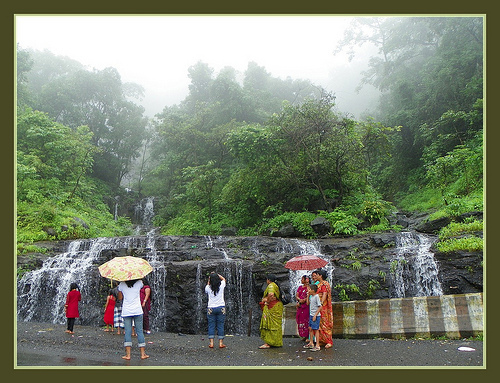 Monsoon with its extraordinary charm of rain, make Malshej Ghat a symphony of waterfalls. When the cold breeze blows, the scores of falling water move upwards, and it creates the marvelous scenario of a water rise. Rain, mist, fog and the cascading water falls amidst of woody forest are an eye catching sight one can never forget for a life time. 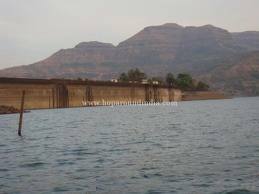 A five kilometer long bund, blocking the plain waters of gorgeous Pushpavati River Pimpalgaon Joga Dam is located in Malshej Ghat in Maharashtra. The dam with its lofty cliffs and the vast expanse of backwaters presents spectacular scenery. A haven of so many bird species like purple moorhen, pitta, alpine swift, whistling thrush, green pigeon, quail, and pied crested cuckoo, Pimpalgaon Joga dam is a bird watchers delight. The backwater of this beautiful structure is the shelter of the exotic migratory Flemingo birds. A large number of beautiful birds mating with each other in the serene backwater is an amazing sight which holds our breath. Located in a hilly terrain, Malshej Ghat is a favourite place for adventure lovers. The peaks, and the gallant forts in the dense forest of this hill station are perfect places to explore through trekking and rock climbing. Trekking in Malshej offers one to be in the lap of mother nature and helps to communicate with the surrounding more effectively.Gifted with a mountainous topography, Malshej provides so many places, which are perfect spots for trekking. The darkoba peak (the tallest moumtain in the locality), Ajoba hill fort are ideal location for trekking enthusiasts. Nane Ghat, Jivdhan Chawand Fort also are hot spots of trekking favourites.Those who are little bit spiritual can take the rout to Ozar and Lenyadri, where the two Ganesh temples honoured by all devotees is located. Trekking in Malshej provides the excitement of adventure along with the dharsan of holy temples. Trekking in Malshej Ghat gives an opportunity to watch the excellent greenery of the dense forest of the majestic Sahyadris, which makes this hill station so popular. 1> A sightseeing tour of Malshej Ghat is particularly recommended during the monsoons when the falls become more tempestuous and the rain freshens everything in sight. If you are brave enough, get under some of the waterfalls the spray will definitely revive you. Trek into the forest surrounding Malshej Ghat that bear tall stately trees, which are a wonderful sight to behold. 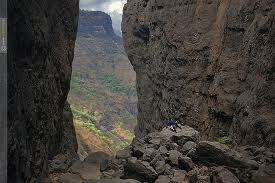 2> The Harishchandragad Peak (1424 mts) is a favourite with trekkers. It is unique because here lie the semi-circular rock wall of the Konkan Kada. 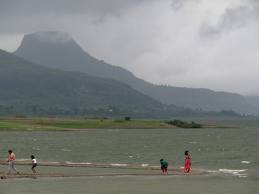 3> Pimpalgaon-Joga Dam is a long bund, which blocks the Pushpavati River that springs out of Malshej Ghat and creates a lake in the monsoons. Several species of birds including the alpine swift, purple moorhen, pitta, quail, whistling thrush, green pigeon, pied crested cuckoo have been spotted by ornithologists around the dam. 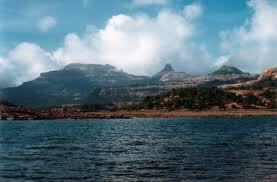 4> Honeymoon couples can spend hours together on the banks of the many monsoon filled lakes in Malshej Ghat. And do the done thing in Malshej Ghat – spend some time watching the antics of the flamingoes in season. Situated about 150 km away, the Chhatrapati Shivaji International Airport in Mumbai is the nearest international airport to Malshej Ghat. This airport is connected to all major cities and towns not only within India but also outside it. The Mumbai Airport is linked to Singapore, New York and other major cities making travelling for foreigners all the more easier and convenient. There are taxis available from outside the airport that to help you commute to Malshej Ghat at a fixed fare of about Rs. 3000. The Gandhinagar Airport at Nashik and the Lohegaon Airport at Pune are other domestic air travel options available. 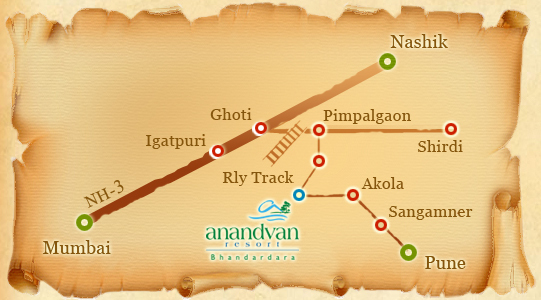 The Kalyan Railway Station is the closest railway station to Malshej Ghat. These stations are well connected to other cities within and outside the state of Maharashtra via regular trains. The station at Kalyan is located about 86 km away from Malshej Ghat and it takes about one to one and a half hours to reach the destination from the station. Malshej Ghat is well connected by Maharastra state transport corporation buses to all major places in and around. Regular and frequent public bus services are available from Mahuli Fort to Mumbai and Kalyan. 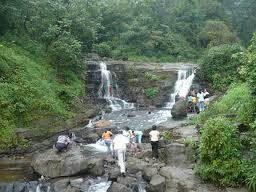 Visit Malshej Ghat by Car. The monsoon months of August and September are a magical time to visit Malshej Ghat. During this time of the year, the hills are soothing; with calm and cool weather, misty tops, waterfalls and lush green surroundings. 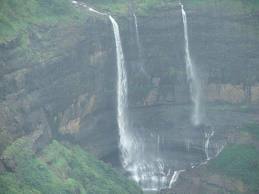 The flora and fauna are at its best during the monsoons and so it makes a visit to Malshej Ghat a must. Carry your raingear- umbrella, raincoat etc. During the monsoons all hotels get full so book well in advance. During the winters, between December and February, the lofty hills of the Western Ghats are a paradise for trekkers and hikers. You can go about exploring the mysterious trails and make your own way in and out of the forests. Summers, between March and May are a pleasant time to visit the Ghats. 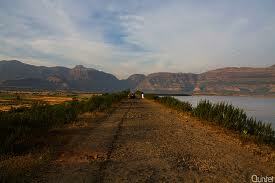 Malshej Ghat can be visited at anytime of the year- the weather is quite pleasant.